Why to Upgrade to EDB Viewer PRO ? 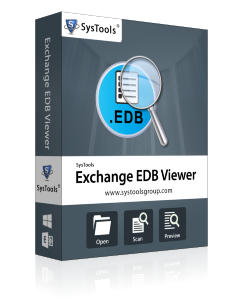 The Pro version of EDB Viewer enables the user to view recovered emails in different views. The different views offered by the tool are Normal View, Hex View, Attachment view, Properties view, Message Header view, MIME view, HTML view and RTF view. The advance search option in the Pro+ edition enables the user to search for a particular keyword in EDB mails and attachments.Also the option to filter out mails on the basis of subject, to, from or any other keyword is available to export selective data. The multiple naming options in the tool enable the user to name the files after EDB files are exported as PDF. Apply names to the exported mails by applying options like as subject, DD-MM-YYYY and many more. By default PDF file gets stored as subject. The tool provides option to export selective emails from EDB to PDF lying in a particular date range by applying mail filters.Specify the 'To' and 'From' dates and all the emails lying within the mentioned dates will be exported to PDF format. © 2007-2015 www.edbviewer.org | All Rights Reserved.